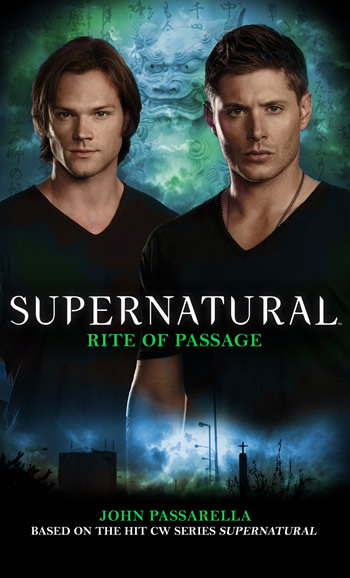 As you may have seen, I recently was given an advance copy of the new Supernatural tie-in novel Rite of Passage by John Passarella to review. I figured, rather than keep it for myself, I'd let one of YOU in on the fun! Check out my review of the book! To be clear, that means you can have up to three total entries, so the more you do, the higher your chances of winning. The contest will close Saturday, August 11th at 11:59pm PST, at which point I'll pick a winner at random and make the announcement on August 12th. CONTEST CLOSED. Click here to see who the winner is. I love supernatural because of it's pop culture references, eye candy, and humanist theme. OMG, I love Supernatural so much. First it was for the storylines and the many monsters of the week, then it slowly started to be for those extremely devilishly hot men Jensen and Jared and then it became both the storylines and the hot men! First it was two hot men shooting demons in the head, then it was two hot brothers and the stories about family and sacrifice. Then it was all about the whole angsty story wrapped up in two hot men. I don't know how much further it will morph or what form it will take but I love the ride, the two hot men are always front and center. I love Supernatural because there is so much depth to everything. The lore, the characters, the mythological arcs. It draws you in and never lets you go! I love Supernatural because of the smart writing and genuine scares. There is no other show where I can be scared to death while laughing at the same time. And Jensen Ackles......I love the show because of Jensen Ackles. I need help, I'm an Ackleholic! I can't name the real reason of my love for Supernatural... It's not just a show, it's a real cult. These amazing actors (who happen to be also great people in real life) are making the roles of their lives-they make the characters so real, so complex, that we, the fans, start to breath, laugh or cry at unison. Plus, such a great story, the endless journey of the Winchester brothers, dubled by mythology or religion... And let's not forget the funny episodes, that cheer me up when I'm down. That's why I adore Supernatural. I love Supernatural because no other show in all the history of all the shows have made me care so much about fictional characters. And because I care so much what happens to Sam and Dean, it makes me feel their so much more intensely. I love Supernatural because of the unbreakable bond between the brothers. 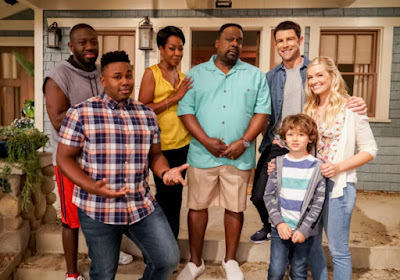 The strong, unforgettable guest stars/recurring characters (Gabriel for instance). And the thought and detail which goes into the story line. I love Supernatural because of the relationship between the brothers and their devotion to one another to the point of gladly dying for each other, I also love the actors and the humour. I love supernatural because of the brothers and how they would die for each other. It teaches us things between family and what may happen to us in the future. And the quote "You'll never know what you lost till you lost it." This show reminds me of that quote. Plus I love the humor in this show, its amazing! And I watch this show every single day on netflix and I cant wait for October 3rd at 9 oclock to watch season 8! Can't wait! I love Supernatural because it's just an awesome show altogether! I love Supernatural because it is a gateway to conversation between my son, who lives 10 hours away, and me. We still discuss the complexity of the characters, the humor, and all the baddies. We are both so excited for October 3. What's not to love? Sharp humor and subtle references to existing books, movies, myths, legends and people, attractive characters that develop and grow individually and in their relationships with each other over time, an awesome car and great music! It leaves you feeling like you can't live without more Team Free Will!